A man living in a converted carriage house in a Mount Vernon Square alley told Advisory Neighborhood Commission 6E/Shaw February 6 that he had to have his important mail delivered to a friend in Virginia “because my faith is so low” in the postman’s ability to find his house. 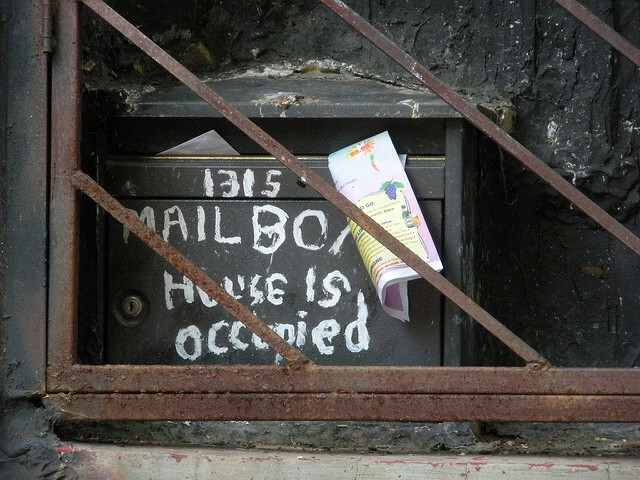 If you live in the alley, the man reported, your official address might be 1199 5th Street Rear, but sometimes your mail will be delivered to your neighbors at 1199 5th Street, or sometimes not at all. He estimated he received about 50 percent of his mail. He also said he has to meet visiting friends and contractors at the mouth of the alley, and that police have difficulty finding his house, which is located in the interior of the block bordered by Fourth Street, M Street, Fifth Street, and New York Avenue NW. To remedy this problem, the man and his neighbors in nearby houses have banded together to have the alley officially designated with its own address, like Blagden Alley. He requested the ANC send a letter of support of this request to Councilmember Charles Allen (Ward 6), which will start the process of giving the alley an official name. The exact name of the new alley is not yet certain. The man reported that the alley was once known as “Brown’s Court”. However, there is already a Brown’s Court SE on Capitol Hill, off Sixth Street, and giving this alley the same name might defeat the purpose of the change, that is, to reduce postal and police confusion. 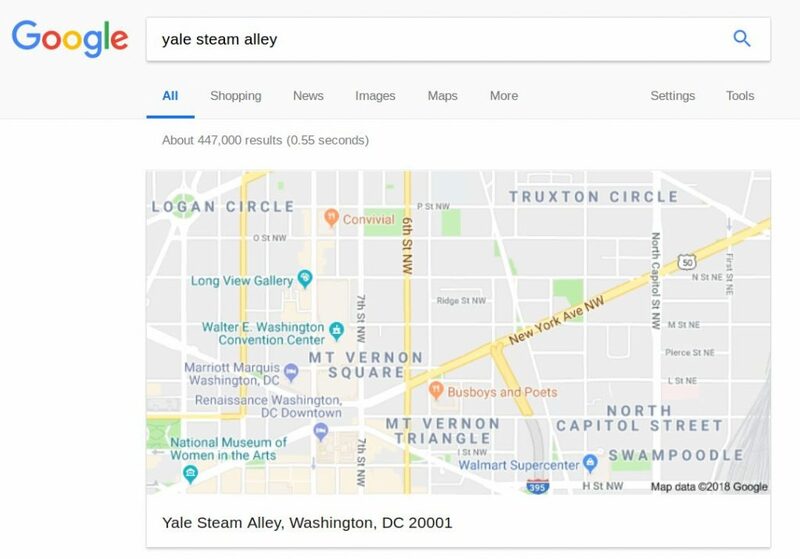 At one point, a member of the audience found that Google had already gone ahead and given the alley a name – Yale Steam Alley (see screenshot). However, this unilateral act by Google will not help the residents get services more quickly. The resident said that the request to name the alley could be initiated now and an actual name chosen later. However, some residents had advocated “Historic Yale Alley”. The “Yale” name refers to the Yale Steam Laundry building (437-443 New York Avenue), a designated historic site which backs onto the alley. The building was redeveloped into condominiums in 2008. The ANC voted unanimously to support the request and send a letter to Councilmember Allen’s office.